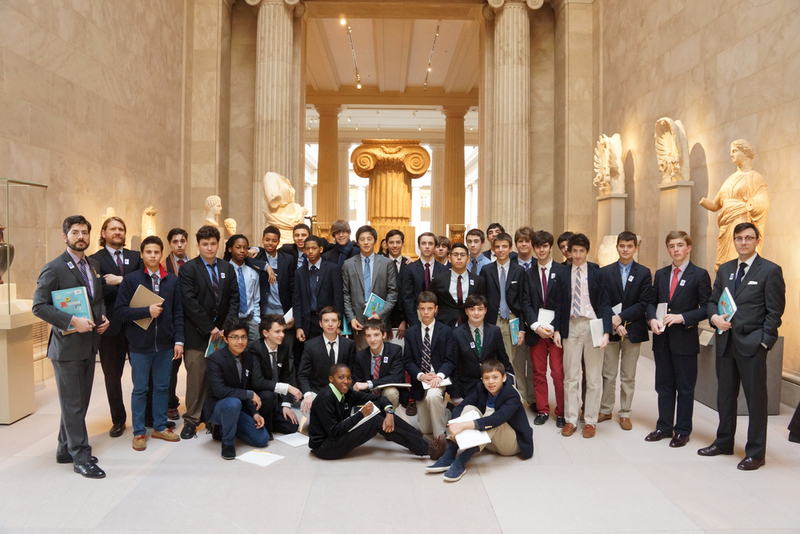 Form III boys traveled with Classics Department Chair John Young, art teacher Zack Davis and Greek and Latin teacher Brett Wisniewski to the Metropolitan Museum of Art on January 15 to tour the Greek and Roman galleries. Mr. Young reports on the experience: "The artifacts under particular scrutiny included two marble statues of Hercules, which stood in Nero's baths, Greek ceramics, both red and black figure, and bronze helmets from Crete of the greatest antiquity. The boys practiced their Latin, explored the history and significance of the items, and learned of the processes behind their creation before making drawings of them in their sketchbooks."